Vis­it­ing Bul­garia in the sum­mer and not hav­ing at least one stop on the Black sea coast is kind of like vis­it­ing Paris and never see­ing the Eif­fel tower. We knew we had to expe­ri­ence it, but had trou­ble decid­ing where exactly we should go. The Black Sea coast is famous for tacky resort towns over­run by trashy tourists, being built up with soviet era block hotels and small lit­tle sleepy vil­lages far from every­thing. We were look­ing for some­thing in between; a place that had beach, good bars, a big city, and of course, sights to see. One place seemed to fit the bill per­fectly. 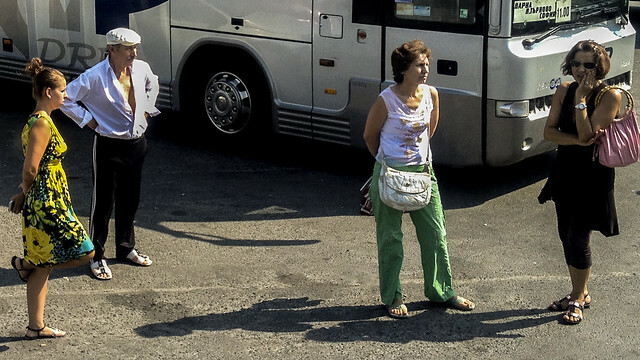 We headed to Bulgaria’s “sum­mer cap­i­tal” Varna. We tried our luck with Couch­surf­ing, and our new friend Mar­tin gra­ciously accepted to host us for a cou­ple days. Upon our arrival, he very gen­er­ously offered to pick us up from the bus sta­tion. Within a few min­utes it was clear that we had made the right deci­sion. 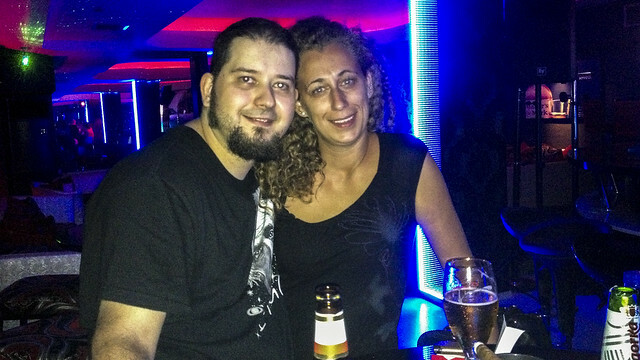 Our first night, Mar­tin and his friend took us out to expe­ri­ence some of the local nightlife. We started with a deli­cious din­ner on the water­front, and then we hit the bars. We had our choice from a huge strip of dif­fer­ent bars lin­ing the beach, all of them packed with peo­ple and extremely cheap beers. We picked one with live music, and par­tied until late in the night. 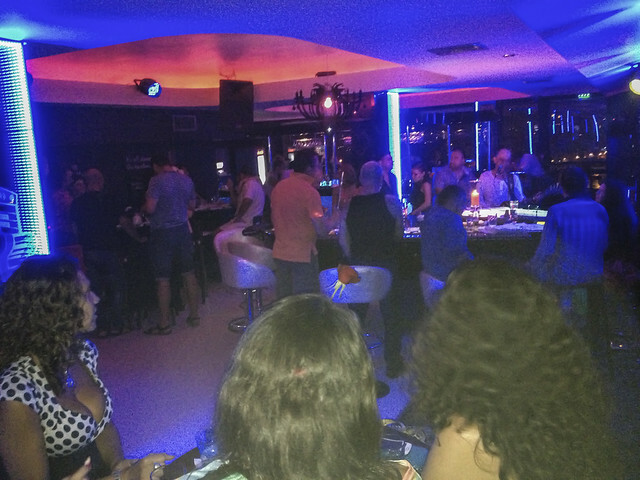 Not want­ing to end the evening early, we then headed to a sec­ond bar at the top of Varna’s fan­ci­est hotel with a won­der­ful view of the city, and of course locals singing karaoke. I think our 5 AM bed­time is a tes­ta­ment to the evening’s festivities. The next morn­ing, feel­ing a lit­tle hun­gover and tired, we were treated to some deli­cious break­fast by Martin’s mom. Noth­ing tops home­made Tara­tor soup. It was hard to get started, but Tim and I man­aged to get up and join the Varna free walk­ing tour. 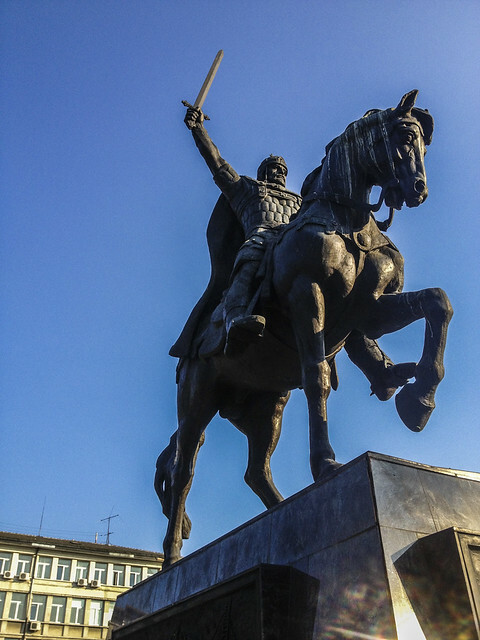 The tour was a per­fect way for us to see all the famous sights, get some his­tory of the city, and learn more about Bul­gar­ian cul­ture. We even met some fel­low Cana­di­ans along the way! At one point we arrived to a small bridge that is appar­ently very mag­i­cal. If you make a wish, close your eyes, and walk across the bridge back­wards, your wish will come true. Every­one in the group took a turn, and we all cheered each other on as peo­ple walk­ing by were enter­tained. Tim made a stop motion video of the tour, so you can enjoy a glimpse of it. 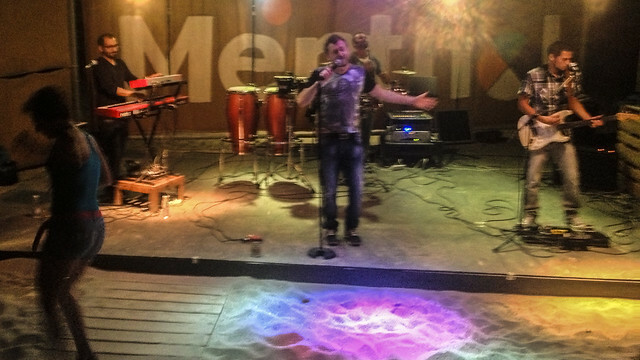 After the tour ended, our new Cana­dian friends joined us and Mar­tin for some din­ner and a nice relaxed evening of hav­ing drinks on the beach. We had orig­i­nally planned to leave Varna after two days, but we really wanted to spend more time on the beach. Unfor­tu­nately Mar­tin already had plans, so we checked into a nice campsite/hostel out­side the cen­ter of the city, near a bunch of beach resorts. The idea of sleep­ing in a tent and wak­ing up to the scorch­ing hot sun didn’t inter­est me, so we I opted for a pri­vate room. It felt so nice to be stay­ing in a house with a com­mu­nal kitchen and lovely peo­ple. We stayed there 2 nights, and for the first time in a very long time, we cooked din­ner 2 nights in a row. 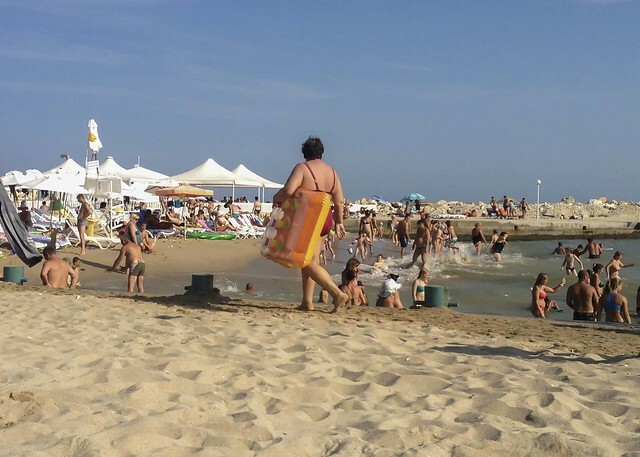 Our last 2 days in Varna were spent chill­ing on the beach, chat­ting with the other guests at the hos­tel, and get­ting our­selves ready for the much antic­i­pated jour­ney to Turkey. Although our time in Bul­garia was short, it is def­i­nitely a coun­try I plan on vis­it­ing again some­day. It really has some­thing to offer for every­one; great beaches in the sum­mer and ski resorts in the win­ter. Mix that with friendly peo­ple, great food, and a seem­ingly end­less sup­ply of ruins and his­tor­i­cal build­ings, you have the recipe for a per­fect vacation. This entry was posted in Articles, Bulgaria, Helene on 13 October, 2013 by Helene Grosjean.